The Sydney Morning Herald, 1960. 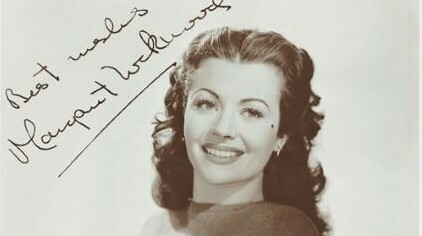 In England, complete with a newly remodeled nose-“”it gives me more confidence”- and teeth filed level-“”it gives me a better smile,” young film actress Julia Lockwood stepped into the last of her teen years transformed from a pretty miss into a glamorous, sophisticated stage star. The rapid transition has been so successful that “Toots,” as she has been called from childhood, may soon be on her way to Hollywood. 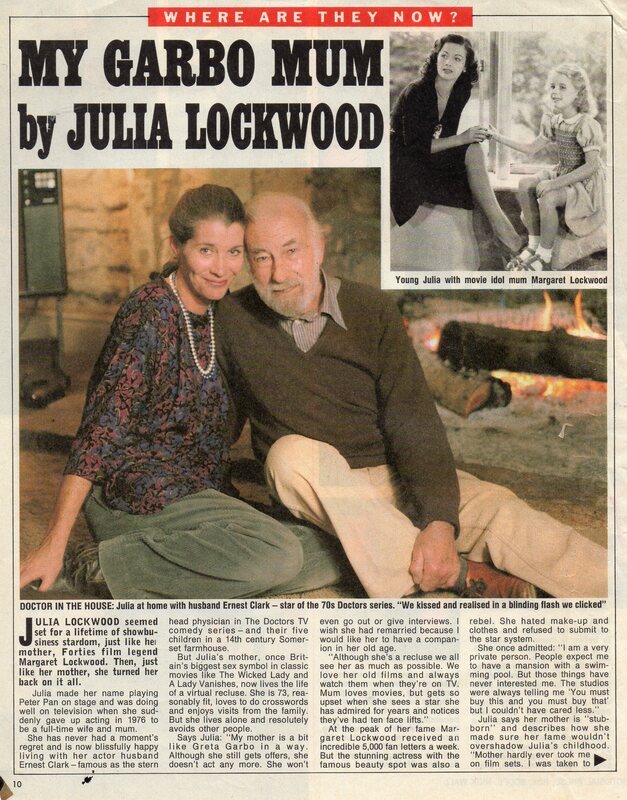 Maxwell Arnow, the same man who discovered Kim Novak, flew to London to search for new faces recently and one of the actresses he singled out was the young Miss Lockwood. The promise of a film test by Columbia Pictures that resulted from the interviews is responsible for the “new look” with which she is emerging. As well as the new nose and filed teeth, there’s a shoulder length, curly golden wig that’s filling in until her own pale blondy straight hair has reached the length she wants. Soon-when she’s had her tonsils removed-she’ll be taking the giant step towards independence by moving into a bachelor-girl flat in London’s Dolphin Square. “I thought it was time to get away from home,” she explained. 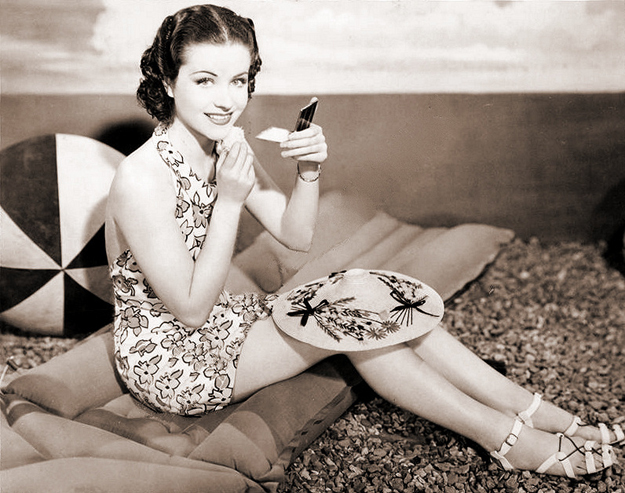 An acting career was mapped out for Julia when, at the age of five, she was enrolled in a theatrical school. From then on, she’s been knee-deep in a show business atmosphere. Her move into the limelight was a foregone conclusion. “I wouldn’t have minded being a children’s nurse,” Julia says. “I love children. When I marry I shall have a large family. I don’t believe in raising an only child.” An only child herself, “I’ve been pretty lonely at times,” she says. “My parents parted when I was about five and were divorced when I was eight. I spent a great deal of time being looked after by Nanny. 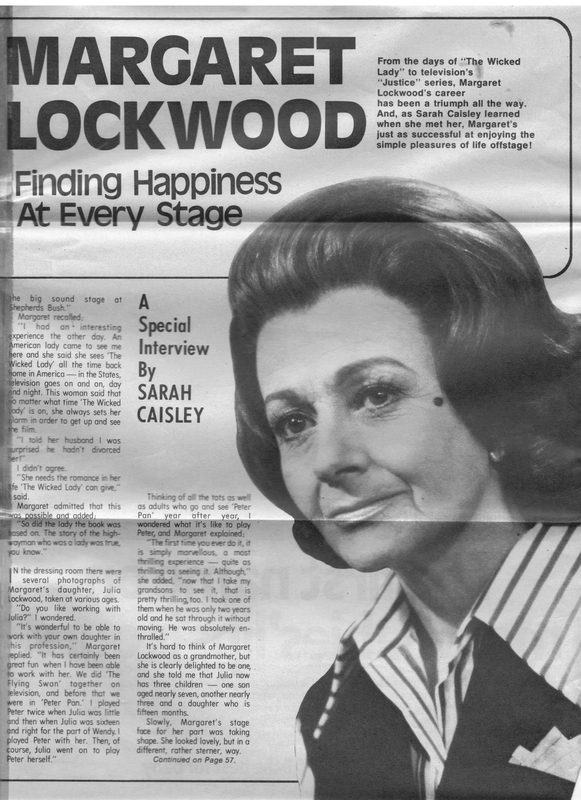 I think a girl needs a father, even more than she needs a mother,” she added, rather surprisingly, in view of the fact that her actress mother, Margaret Lockwood, has probably done much to guide her pretty daughter along an acknowledged tricky course. 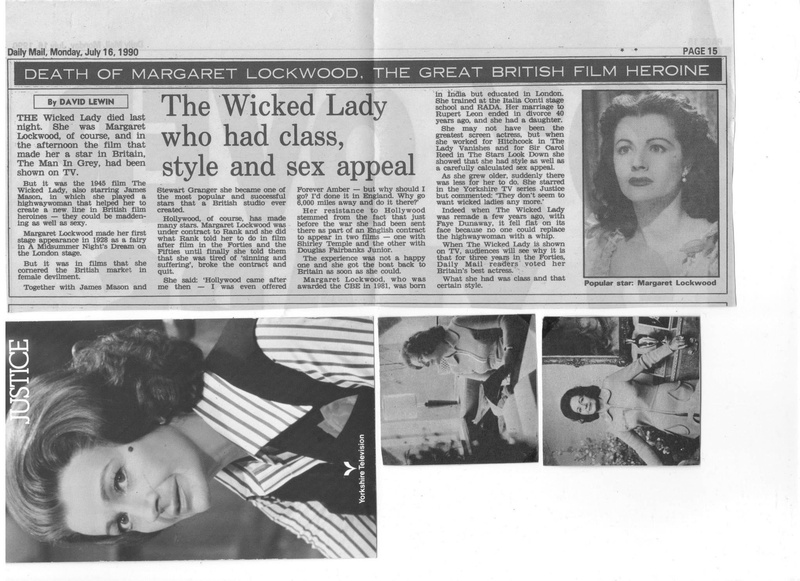 Thanks to Tania for sharing these gems from her Margaret Lockwood collection! ‘Hey Genius, meet your Scarlett O’Hara!’ Myron Selznick called to his brother, the Hollywood producer, David O Selznick, as he stood amongst the flames and stuntmen on a studio backlot in Culver City. Vivien Leigh emerged from the car, her tiny frame wrapped in a mink coat. Eying up this unknown English actress, Selznick took the biggest gamble of his career- he fired his leading lady, Paulette Goddard, and casted Vivien in the movie the whole world was talking about, Gone with the Wind. It was the stuff fairy tales were made of, and it launched her celebrity to astronomical levels. But behind the glittering facade, lay a deeply troubled woman whose entire happiness was built on the foundation of other people’s misery. At the age of 22, Vivien had set her eyes on an unknown stage actor, Laurence Olivier, who was appearing in Romeo & Juliet. ‘Look at him,’ she whispered to her friend, ‘that’s the man I’m going to marry.’ She was relentless, and after watching Olivier perform night after night, and bumping into him at his favourite haunt, the Savoy grill room, the two fell in love. 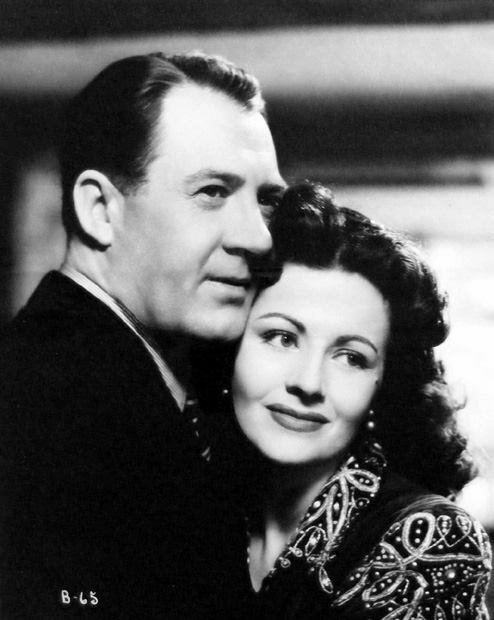 They were the epitome of a Noel Coward lyric; young, beautiful, talented…but they were married to other people- Vivien to Leigh Holman with whom she had a child, and Olivier to the famous stage actress, Jill Esmond, who was expecting their baby. It was an unstoppable force, driven by lust and plagued by guilt, both had been the product of a religious upbringing, Vivien, schooled in a convent and Olivier, the son of an Anglican clergyman. Their affair was common knowledge amongst the theatrical set, and after starring together in the historical drama, Fire over England, the two left their respective spouses to set up home in at Durham Cottage in Chelsea. 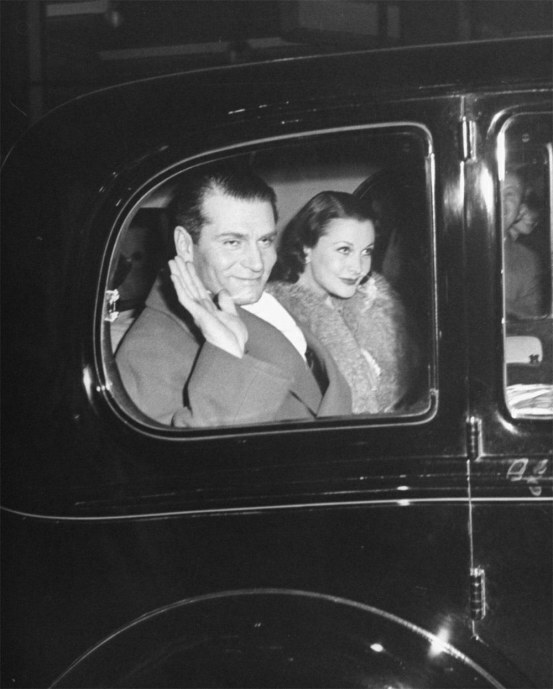 In 1947, at the height of their fame, Olivier was knighted and they became Sir Laurence and Lady Olivier. With their 12th century manor house, Notley Abbey, and their pairing onstage, the two became the royal family of the British theatre. Such respected stars, the Oliviers represented King George VI and Queen Elizabeth on a goodwill tour of Australia and New Zealand. In Australia, the cracks really began to show. Peter Finch entered their lives like a whirlwind. Olivier was intrigued by this arrogant actor who staged plays on factory floors. He was the incarnation of Olivier, himself, and Vivien did not fail to notice his immense charm and physical attraction. Finch followed them back to England where Olivier signed him to LOP [Laurence Olivier Productions] whereupon he began an affair with Vivien. Olivier, by his own account, was content with the situation–his energy went into acting, and he had little else left over for Vivien. ‘I am going to bed,’ Vivien announced as she stood in the doorway, wearing a flimsy nightdress. ‘Which one of you is coming with me?’ Finch and Olivier responded with peels of laughter and the three sat up, drinking through the night. Vivien was slipping into the depths of manic depression brought on by an earlier miscarriage – for years her symptoms went undiagnosed – and in 1953 she had been institutionalized where she underwent brutal treatments of ECT and ice baths in a bid to cure her. The aftermath of such treatments ravaged Vivien, and Olivier admitted the cruel procedure of ECT had wiped away any familiar traces of her once vibrant personality. Finch eventually departed from their lives, and a reconciliation with Olivier was brief. 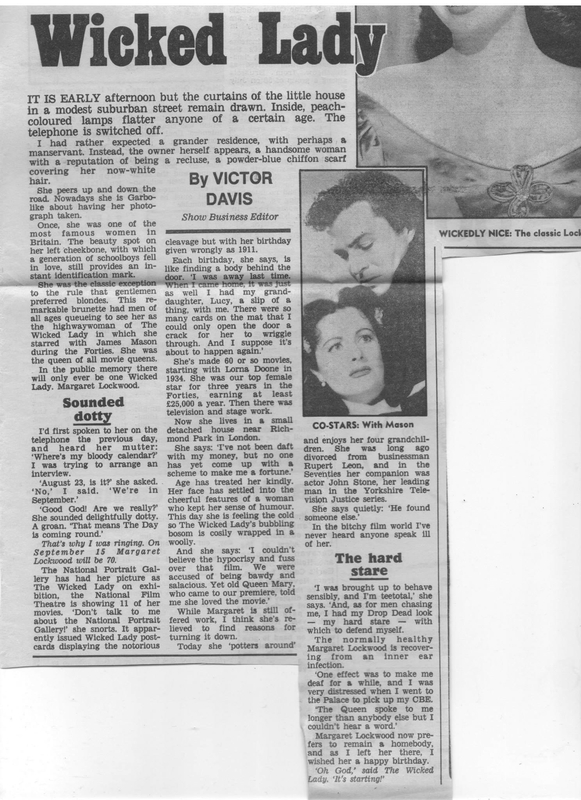 Vivien suffered another miscarriage, and Olivier began an affair of his own, with the young actress Joan Plowright. For twenty years, their lives had been bolstered up by their international stardom, the accolades and public’s worship, but in the confinements of their home, and her deteriorating mental health, things finally crumbled. Vivien was plagued by guilt, having abandoned her child to go off with Olivier, and he was seeking a stable personal life. They finally divorced in 1960, their lives taking a dramatic turn. Olivier became the father to three children, though the lure of the theatre was always a priority over family life. 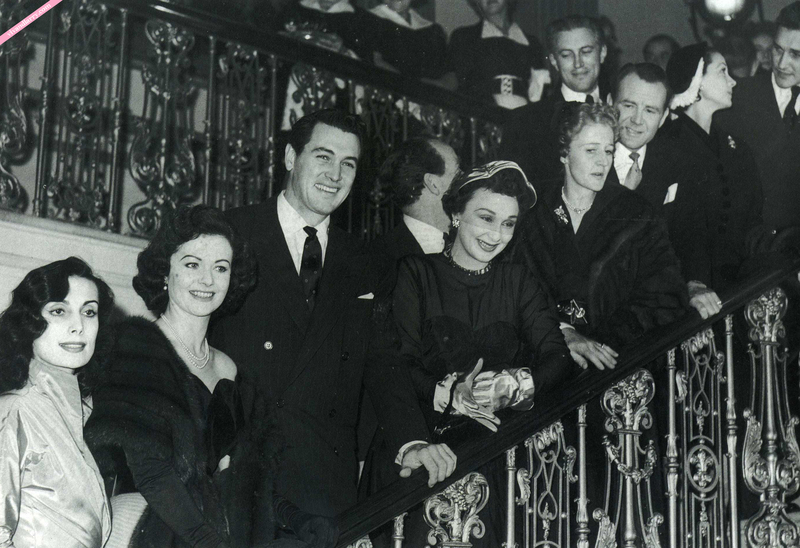 Vivien sought companionship with a young actor, Jack Merivale, and had grown close to her daughter and grandchildren. 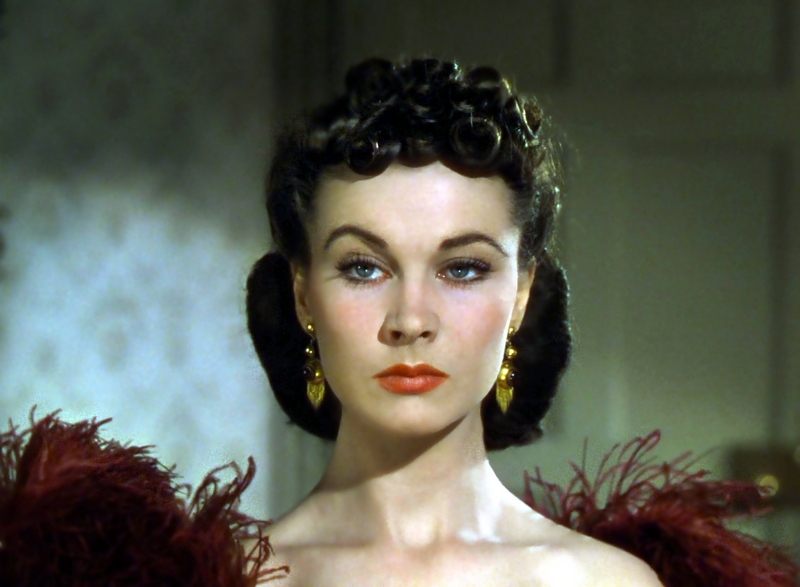 Though she seemed better, death was waiting in the wings; Vivien’s old ailment, tuberculosis, had returned. 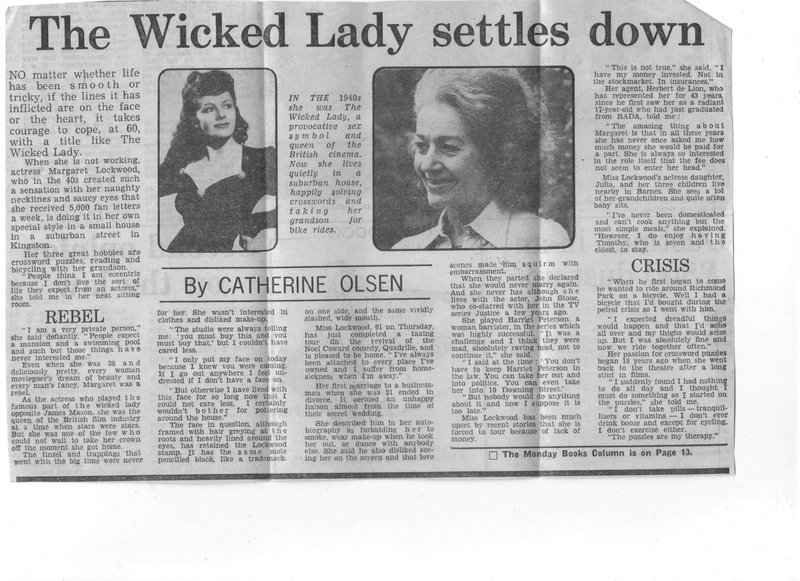 On the evening of July 7 1967, at the age of 53, Vivien succumbed to the disease. It was one hundred years ago that Gertrude Hartley, a young woman, of Irish descent, stood at the window of her palatial home high in the hills of Calcutta, gazing at the Himalayas in the distance. She believed the stunning beauty of the mountains would pass on to her unborn child and bless its life with riches. On 5 November 1913, Vivian Mary Hartley was born. ‘Why are there fireworks, mummy?’ the little girl would ask, unaware it was Guy Fawkes night. ‘They’re celebrating your birthday, darling,’ came the reply. 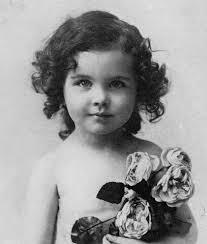 It seemed a fitting response for the girl who would grow up to become Vivien Leigh. 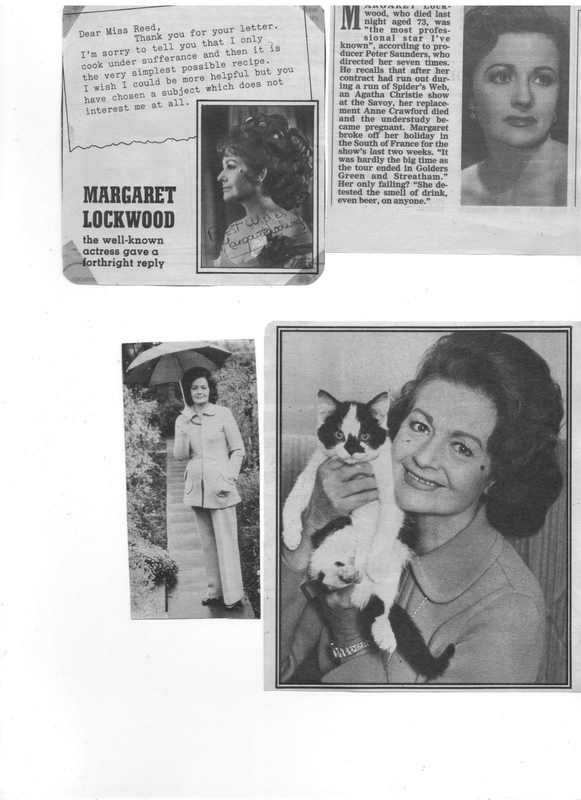 A wonderful fan kindly sent me her collection of Margaret Lockwood clippings to use as research for my biography of ML. 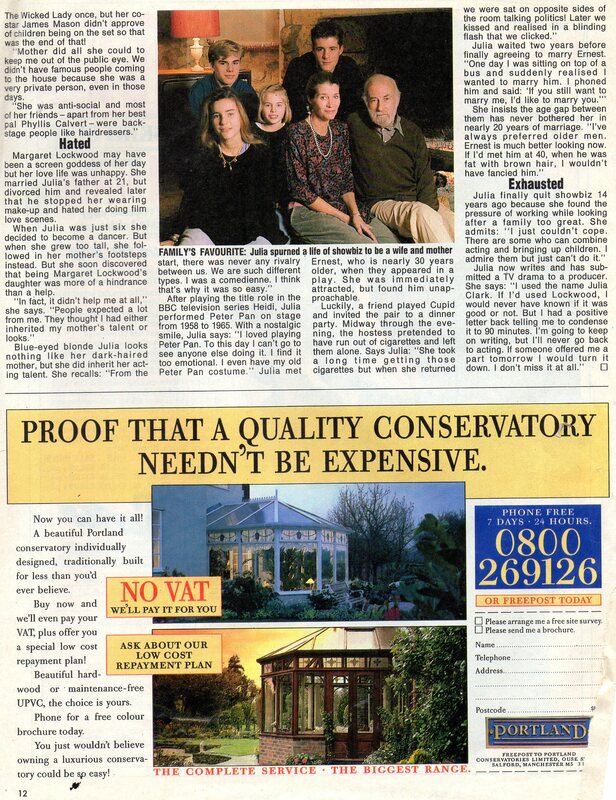 If you click on the images you should be able to read the interviews etc. 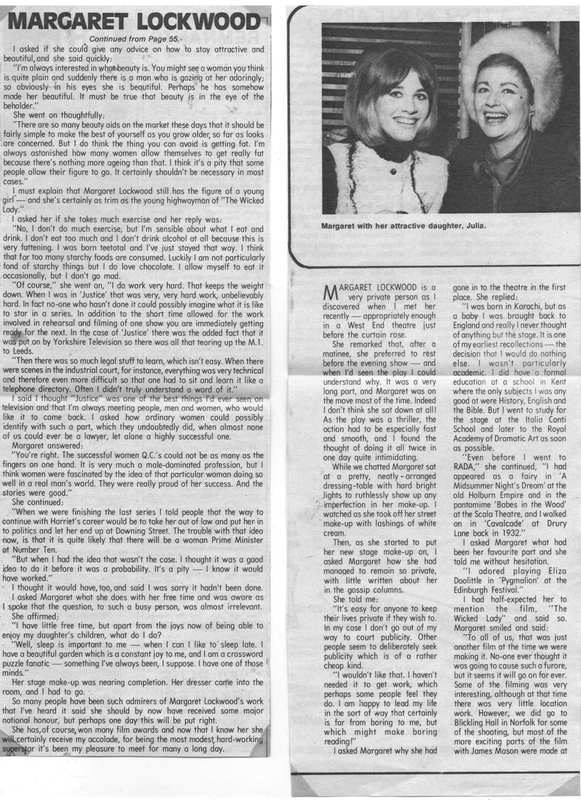 Margaret is very funny and witty in her responses, I imagine she was a little like Harriet Peterson in real life!